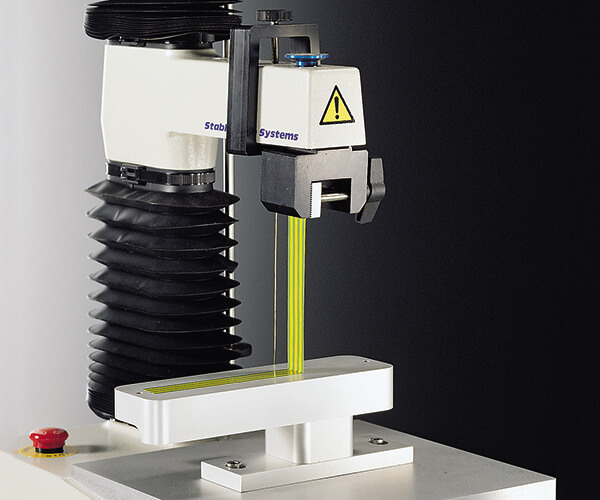 Let us show you a range of possibilities for measuring textural and physical properties of adhesive products with a texture analyser. 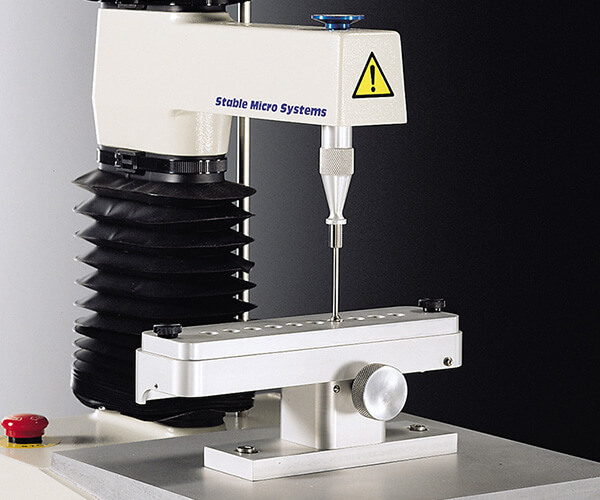 Measure a multitude of physical properties in a huge range of different ways. 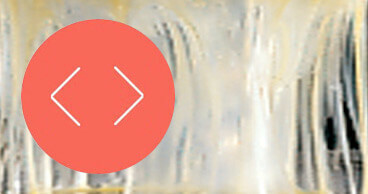 Adhesiveness (often referred to by consumers as ‘stickiness’ or ‘tackiness’) is key to perceived product quality, performance and effectiveness of such products as sealing tapes, curing glues, resins, waxes, adhesive plasters and labels used in the pharmaceutical, food, medical and packaging sectors. It can be influenced by many factors, including temperature, moisture level and repeated use. By matching adhesive performance to functional and consumer requirements, manufacturers can identify the ideal adhesive composition. However, a measurement principle needs to be adopted so that these properties can be monitored either during the development stage or at the point of quality control. Measurements allow the viewing of subtle differences between different formulas, materials, chemical ingredients, and manufacturing processes. For QC/QA production, verification of batch conformity to an existing standard can be checked and a comparison of consistency between batches, shifts and different manufacturing facilities can be made. 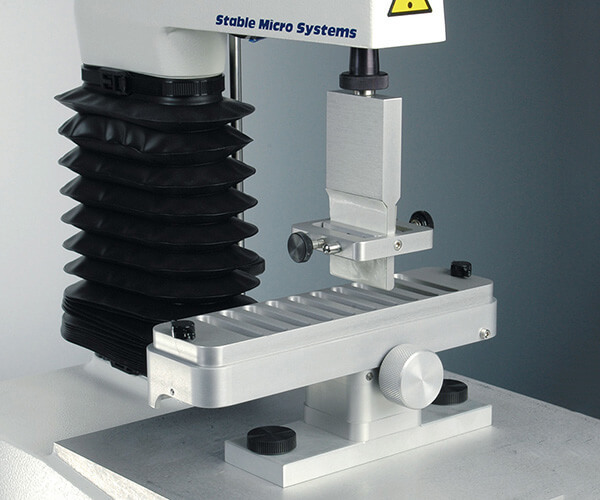 A number of common and established standard adhesive methods methods (including ASTM, ISO, FINAT, AFERA and PSTC Standards) can be carried out using Stable Micro Systems’ TA.XTplus texture analyser to provide detailed analysis of the compressive and tensile stress-strain behaviour of the adhesive product. These test methods are built into Exponent software and will automatically load at the click of a button. 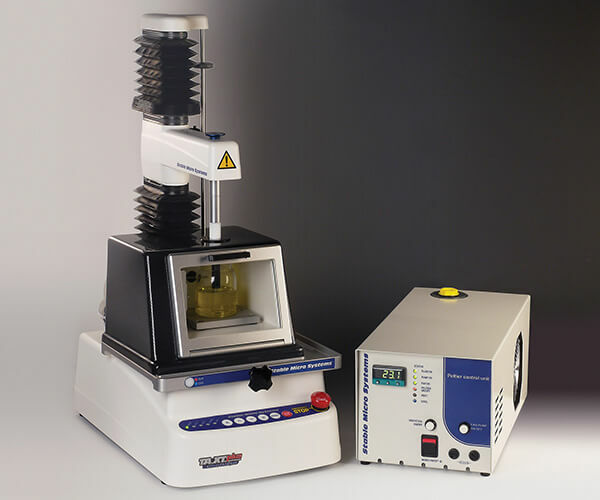 When you don’t need to ‘stick’ to the standard testing approach, we have a wide range of additional fixtures which provide parameters that are not otherwise quantifiable with alternative equipment. When test solutions don’t exist we go ahead and develop them – classic examples are shown below. We are completely dedicated to finding the optimum test solution for your product characterisation – but don’t just take our word for it, read an example of what our customers have to say. A selection of special attachments and typical measurements which are commonly used in this application area are shown below, although this does not necessarily include the complete range available for the testing of adhesive products. Test procedures include: compression, puncture / penetration, tension, fracture / bending, extrusion, cutting / shearing. 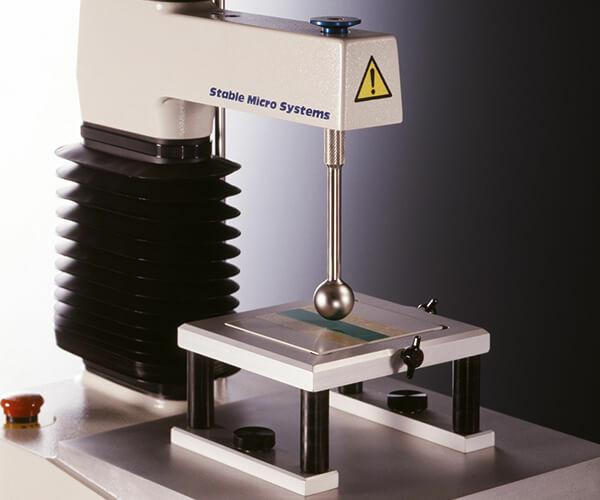 A 1" spherical probe is often used to assess adhesive characteristics such as ‘tack’, adhesive cohesion and work of adhesion. Provides a means of assessing ‘Quick Stick’ according to FINAT Method 9. 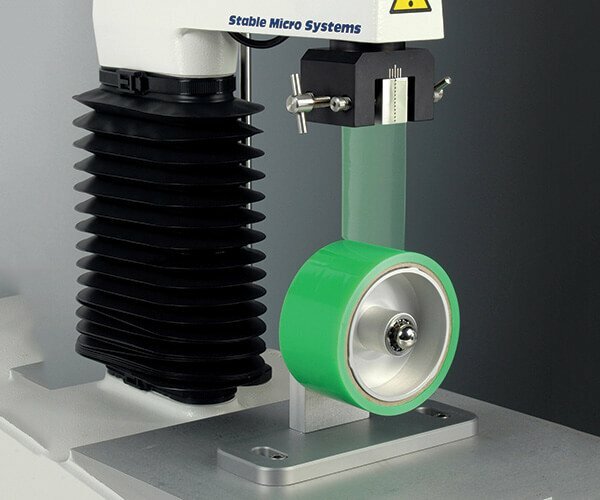 Allows measurement of the peel strength of containers up to 95mm diameter and 120mm height at three angles. 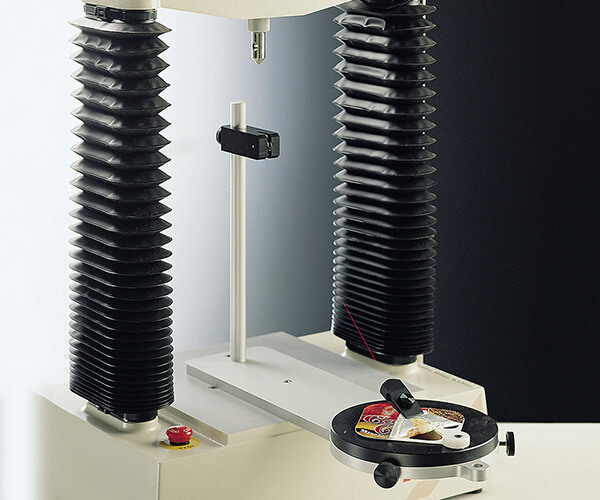 (180 degree peel action) Peel action measurement for adhesive bandages, adhesive tapes. 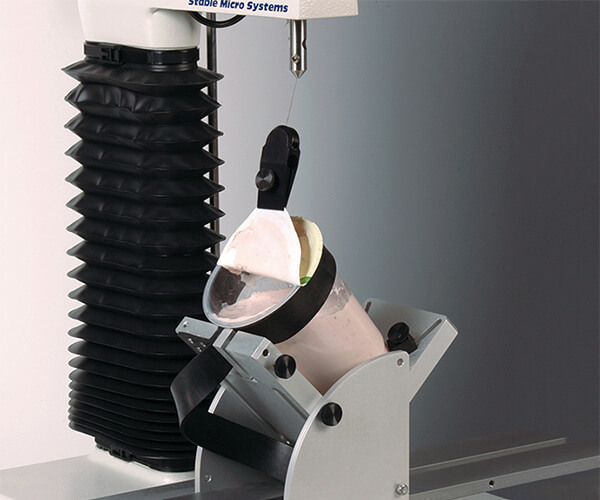 For the measurement of unwind adhesion – a quantitative measure of the degree of ease or difficulty in unwinding a roll of tape. 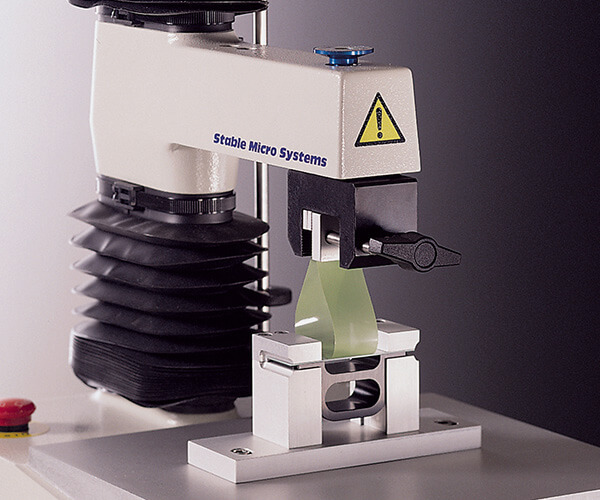 Easier sample mounting and securing for adhesion measurement of a flexible substrate withdrawn from a sample. 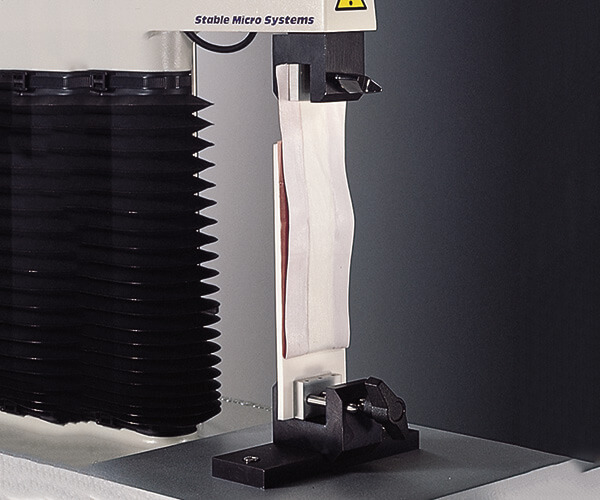 Adhesives can be tested at constant temperature, providing more accurate measurement.